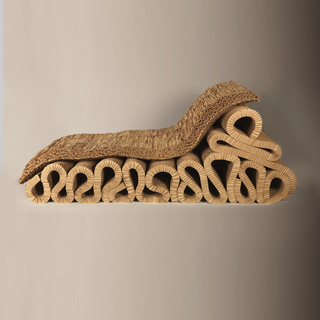 See more objects with the tag furniture, seating, loops, chairs, curved, wood, bent, wood grain, chair, extrude. See more objects with the color peru sienna navajowhite darksalmon grey or see all the colors for this object. This is a Chair. It is dated 1988 and we acquired it in 2006. Its medium is bent beechwood, metal screws. It is a part of the Product Design and Decorative Arts department. 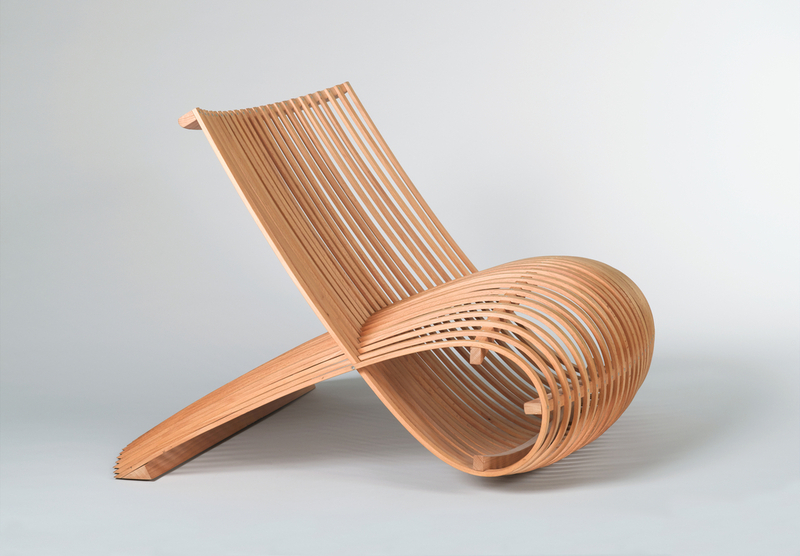 The delicate Wood chair, by noted industrial designer Marc Newson, is made from multiple long strands of beechwood and is unique in its construction. Each strip is bent back onto itself and affixed to a wooden base — there are no joints or right angles — to create a flowing, organic form. Originally created as a piece for an exhibition, the chair was put into production by the Italian design firm Capellini. 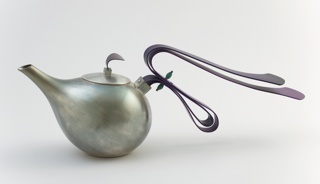 Newson’s overall style is biomorphic; he designs in diverse and multiple fields, creating everything from furniture, to product design, aircraft design, and jewelry.